The Carrier IQ story is probably the biggest tech scandal of the last couple of weeks as unexpected findings showed that millions of handsets have a keylogger pre-installed from carriers allowing them to read your messages, emails and practically your every keystroke. The only major US carrier exempt from that negative attention is Verizon. Also, "components of the Carrier IQ solution" appear on the HTC Merge, Acquire, Desire, Wildfire, Flyer and a variant of the Hero. Luckily, HTC is already working on removing the software from the aforementioned devices and says it doesn’t collect any data from users. If you are not on the run from the law , why should you freak out over carrier IQ ? the way you reacted to it it's like your data is being twitted or something, you have to realize, carriers and manufacturers won't give a crap about data like these, they were just mandated by the government for it. national security is at stake. Sadly i live in Asia and have my phones unlocked . someone you dont know and doesnt give a sh!t about you is that what you mean? you mind and worry about that? maybe one of the patents apple is suing HTC for is this "carrier IQ" "hey! you cant have that! its ours!" 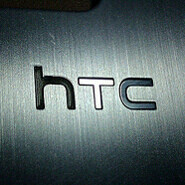 Welll my HTC glacier doesnt have it because its running Cm 7.1. Carrier IQ just needs to come clean and give answers before they go out of business. I agree with SuperAndroidEvo that what I do is no ones business, even when it's perfectly legal. I'm sure most of the people working for carrier iq could care less about the details of someone's phone activity, but all you need is one dishonest employee there with access to numerous passwords to bank accounts and credit card websites, social network passwords, and email passwords, to ruin a lot. It could ruin your c redit or worse, have your identity stolen. Lots of people file taxes online and get email copies sent. What if they take the keystrokes info to get your password to that account? More than anything, what bothers me is they didn't tell anyone so they didn't give consumers a choice. If they say, "hey. We track this, this and this," and you say, "whatever I don't care." Then smiles all around. But for those of us who do care, it's unnerving. No one ,not even the government is qualified to handle people's personal information ,no matter what the purpose is .It's unacceptable.